Flow regime regulation is one of the most significant pressures in Latvian-Lithuanian (LV-LT) trans-boundary river basins, where about 100 small hydropower plants (HPP) are installed and flow regime modifications are made. Hydrological regime regulation for hydropower production dramaticaly impact the biotic composition and sustainability of ecosystems. However estimations of ecological flow (E-Flow) have been carried out neither in Latvia, nor in Lithuania. 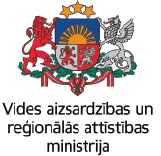 The overall objective of the project is to establish cooperation among the project partners in order to encourage development of new methodology for estimation of E-Flow, in compliance with standards and goals for protected areas under the WFD, Birds and Habitats Directive in Latvia-Lithuania border region. 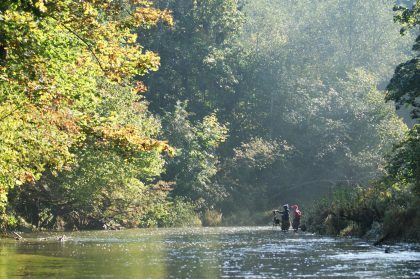 General idea of project is to assess the impact of small HPPs on river ecosystems in Latvia – Lithuania border regions, taking into account the sustainability of fish populations. On Guidance document Nr.31 “Ecological flows in the implementation of the Water Framework Directive” based approach is used for the identification of insufficient water flow downstream HPPs and E-Flow estimation in LV-LT trans-boundary rivers. This approach includes in-situ measurements and modelling, and this will be done in this project, too. New common activities of all involved partners are designation of habitat changes due to flow regulation and planning of ecological status improving by E-Flow control. This will ensure a harmonized approach to water resource management in Latvian – Lithuanian cross-border region. The main project outputs will be elaborated Methodology for E-Flow estimation and Recommendations for the amendment to national water legislations in order to ensure effective implementation of E-Flow, binding the strategic planning for water uses and the permitting process. On 28-29 of March, 2018 in Lithuanian Energy Institute (Kaunas, Lithuania) was held Mid-term workshop of project ECOFLOW (No. LLI-249). Experts from all partners (Latvian Environment, Geology and Meteorology Centre, Institute of Food Safety, Animal Health and Environment BIOR and Lithuanian Energy Institute), participated in this workshop. During the Mid-term workshop project experts discussed about hydromorphological unit mapping in selected case studies of Venta River Basin District and modelling results from first habitat survey. Project main objective is to assess the impact of small hydroelectric power plants (HPP) on river ecosystems in Latvian-Lithuanian cross-border river basins. ECOFLOW project will provide a scientific assessment of the impact of small HPP on aquatic ecosystems. As a result of the project, a methodology for determination of E-flow will be developed, proposals for amendments to national legislation, which would include the issuance and strategic planning of the use of water resources, as well as the list of vulnerable fish species in the Venta and Lielupe river basin districts. Experts from Latvian Environment, Geology and Meteorology Centre (LEGMC), Lithuanian Energy Institute and Institute of Food Safety, Animal Health and Environment BIOR (BIOR) participated in a 3-week training seminar in Saldus from 3rd to 21th July . Under the leadership of Italian and Polish scientists, theoretical training on correct determination of ecological flow rate was held, as well as assessment of the impact of small hydroelectric power plants (HPP) on the ecological quality of waters. The workshop also included practical training in habitat mapping and recognition of river geomorphological units as well as in modeling ecological flow rates. Training for practical activities took place in the rivers of Venta River basin – Imula, Ciecere, Šķēde and Ēda. Two weeks later Project experts from 3 institutions – Latvian Environment, Geology and Meteorology Centre, Latvian Institute of Food Safety, Animal Health and Environment BIOR and Lithuanian Energy Institute will participate in 3-weeks long training seminar, which will held in Saldus, Latvia. 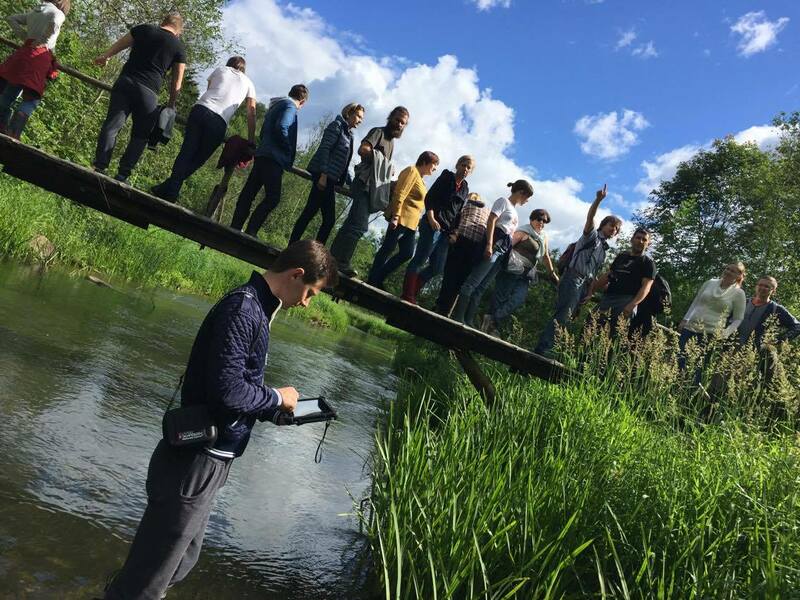 During training scientists from Italy and Poland will explain and teach how to assess habitat degradation in rivers regulated by HPP, and what measurements should be carried out for ecological flow (E-flow) evaluation. 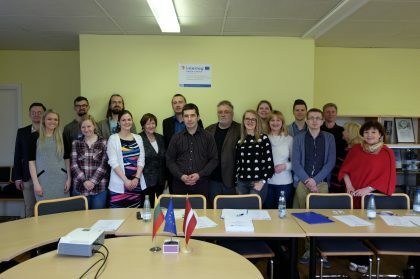 In 25th of April 2017 was organized first project ECOFLOW meeting where all three project partners – Latvian Environment, Geology and Meteorology Centre (LEGMC), Lithuanian Energy Institute (LEI) and Institute of Food Safety, Animal Health and Environment BIOR (BIOR) – met. On April 11, 2017, Latvian Environment, Geology and Meteorology Centre (LEGMC) together with partners launched project ECOFLOW (Ecological flow estimation in Latvian -Lithuanian trans-boundary river basins). 2017.gada 11.aprīlī Latvijas Vides, ģeoloģijas un meteoroloģijas centrs (LVĢMC) kopā ar projekta partneriem Lietuvas Enerģētikas Institūtu un Pārtikas drošības, dzīvnieku veselības un vides zinātniskais institūtu BIOR uzsāka projekta ECOFLOW (Ekoloģiskā caurplūduma noteikšana Latvijas – Lietuvas pārrobežu upju baseinos/ Ecological flow estimation in Latvian – Lithuanian trans-boundary river basins) īstenošanu. Projekta mērķis ir novērtēt mazo HES darbības ietekmi uz upju ekosistēmām Latvijas – Lietuvas pārrobežu upju baseinos. 2017 metų balandžio 11 dieną Lietuvos energetikos institutas kartu su Latvijos aplinkos, geologijos ir meteorologijos centru bei Latvijos maisto saugos, gyvūnų sveikatos ir aplinkos tyrimų institutu pradėjo vykdyti Latvijos–Lietuvos bendradarbiavimo per sieną projektą „Ekologinio debito nustatymas Latvijos–Lietuvos pasienio upių baseinuose”. Šis projektas yra svarbus Latvijos-Lietuvos tarpusavio bendradarbiavimo stiprinimui. Taip pat jis padės užtikrinti suderintą požiūrį į vandens išteklių valdymą Latvijos – Lietuvos pasienio regione. Institute of Food Safety, Animal Health and Environment - "BIOR"